Have you heard about the Crowdfunding ? What kind of funding is this and how is it different from common funding ? If you are using Social Media then you must have ever heard of this term Crowdfunding about whether or not. This is a very innovative idea for any startup or company or for any work in which funding is required. With the help of more internet this innovative idea is reaching more and more people with the help of the internet so that more people are now connecting with it. Crowdfunding is a very familiar name in the world of funding. Many do not have complete knowledge about it so today I thought why you should inform people about Crowdfunding and how useful it is so that you will not have to ask anyone about it. Then let's start without delay and know what happens to Crowdfunding. 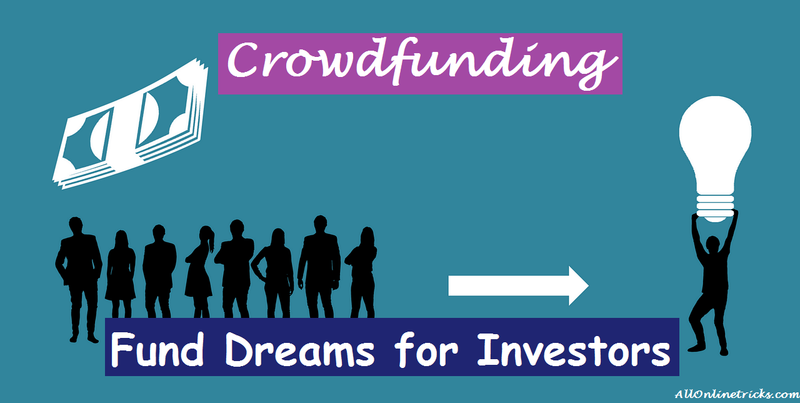 Crowdfunding is used to refer to a practice where money is taken from a group of people to accomplish a project People who invest their money here know this well and why they invest their money. Generally it is only for one particular reason. This is one of the ways to raise money where internet and social networking such as Facebook, Twitter or any other crowdfunding-dedicated websites are used entirely. These small small businesses and startups help in improving with this more and more people will learn through social media which will increase their investment base, and funding prospects. Crowdfunding is not a new concept as it was already indigenous in another form in our country. For example donations which we choose from people around us in the event of a festival. That makes it easy for people to do any social work. It also uses it in films social causes and music festivals. It is surrendered in many models such as peer to peer lending. If we talk about the modern crowdfunding model it has three main components. Project Initiator, Supporters, Platform Where is the work of Project Initiator that he propose that means that people tell people about their project. The second is the supporters who can either be individuals or groups whose main work is to correctly understand the idea and support it and the third and the last part is the right platform which will launch that idea in front of the right people Gives the opportunity to do so that these three organs meet together to complete that idea. If we talk about different Crowdfunding then there are many types of Crowdfunding such as debt based, equity-based, cause-based, reward based, software value token, donation based, litigation, etc. In this type of crowdfunding, investors invest in large amounts of money most of the time so that they can get big piece equity in startup. Most times the equity-based crowdfunding company is used to grow. This type of crowdfunding in India has been considered illegal. SEBI (Securities and Exchange Board of India) is one such stakeholder who can frame guidelines for making it legal. This type of crowdfunding is very much found to you. As you can understand by name the investor gets a tangible product in exchange for his investment. For example if you are a startup of digital watches then you have to give your investors an end in the form of digital watches It is completely legal in India. Donors in this type of Crowdfunding can donate according to their own noble cause. These donations can be of some amount Here donors do not get any reward as was done in Reward based. It is completely legal in India. Here donors donate heartily for the good of our society. For example Ratan tata which donates a lot in time to time. In this type of crowdfunding, you invest in the company's security (also called the debt instrument) where your motive is to give your money to the company according to the loan and in return the company will return the specified interest rate money. There are two types of debt instruments with it secured and unsecured debt instruments. Interest rates are also generally associated with their level of risk associated with any particular startup or entity This is legal in India. (PPP) which is based on Equity-Based Model these are mainly practiced in crowdfunding of India. 1. A crowdfunding campaign was started to train new generation artists correctly whose basic purpose was to preserve the thereat art form of Koodiyattam. 2. There is a Paralympic badminton star Mark Dharma who did not have the money to participate in Para Badminton so a crowdfund was initiated so that he spent all his travel time and established a big record in the Para Badminton International 2017 being held in Thailand Done ! By the way many crowdfunding platforms is Available but only a few of them have made their own independent place. Here you are going to tell people about the same famous Crowdfunding platform. Wishberry, Milaap, Miracle Foundation, Rangde CrowdCube and Seedrs who are performing very well. 1. The main work of Wishberry funds is to work for creative artists. 2. The same Milaap primarily works for charities. 3. Miracle Foundation works primarily for children. 4. Rangde is an internet-based peer-to-peer micro-lending platform which provides low-cost loans to rural entrepreneurs all over India, so that they can do their work in a good and smooth manner. 5. After all CrowdCube and Seedrs are such Internet platforms that help small companies to issue shares. These Shares provide those registered users who have invested some good returns in those companies. With this many such platforms have also been raised which are designed to give more funding in the Scientific projects one such Crowdfund is experiment.com and the second is The Open Source Science Project. 1.By the way Crowdfunding has many benefits but I have tried to introduce something important to you. 2. Crowdfunding, this process is not very dangerous due to no formal banking system. 3. This is a very efficient system and it takes very little time. 4. This increases the productivity of innovation and entrepreneurship to a great extent. 5. With this help small enterprises can grow well, if right guidance is found. 6. This makes the business policy very easy to do. 7. There are lots of applications like this, as a lot of creative work such as blogging, journalism, music, independent film, and startup companies get funding to work further. 8. This is a very good way to return something to society. 9. These creators allow to low-cost capital gain. 10. Crowdfunding makes it easier to get more publicity, better customer base and good employees soon. 11. It provides a good platform for donating and investing to people to reach the right thing to the right people. 12. He does not believe in caste and gender discrimination and sees all people with equal vision which can lead to equality in society. 13. It earns Inflation These platforms earn search and transaction costs so that they can participate in the market by better crying. 14. This opens the doors of good and neglected markets for individual investors. 15. With the help of investors the value of companies increases and with that they add value to the companies. As we all know that there are two aspects of everything, just like Crowdfunding has two aspects one of its benefits which we already know let's now understand what its main demerits are. 1. It is a bit risky for new small-scale investors and entrepreneurs and for which they are often failing in this new venture. 2. There is also a danger of infliction of reputation in the right time if it does not reach goals and targets in the right time then it does not succeed in generating interest due to which it can also be a public failure. 3. Intellectual Property (IP) protection can also be classified according to the creators who are engaged in crowdfunding because they have to show in front of their final product before the public which is very much a risk to their copy Gives. 4. There is also a risk in this that if the same network of supporters are repeatedly approached the campaign can not get the right support which can later become a big failure. 5. Because it does not come under any regulatory framework it is always afraid of being misused for public misuse. 6. Since there is no formal banking system in it, there is more chances here that there is more fraud and money laundering here. 7. Here the risk of creditworthiness and enforceability also remains. 8. With this there is always lack of expertise because the novice's ration remains low. 9. As we know that the startup sector in India is still immature so there are many chances of failure here. 1. If Crowdfunding is to be fully successful then some things will have to be seen in particular. 2. As such complete transparency and accountability to reduce Fraud and illegal activities. 3. It is mandatory to have one. 4. Social media should be used to spread awareness. 5. It should always be noted that the money reached the right people and at least came in contact with the people. 6. All details should be properly documented so that the accumulated funds are not misused. 7. There should be laws in India to support Crowdfunding and Entrepreneurship. 8. People should change the view of Crowdfunding. 9. The belief about private entities should change that they are not fully profit oriented. If it is to make Crowdfunding successful in India, then a pro-business environment must be established. I have the full hope that I have you Crowdfunding people? Given full information about and hopefully you guys will have come to understand about what is Crowdfunding. I am convinced of all the readers that you too share this information with your neighbors, relatives, your friends so that we will be aware of our interactions and will all benefit from it. I need people's support from you so that I can bring you even more new information. My always try is to do that I always help my readers or readers on every side if you have any doubt of any kind then you can ask me uncomfortable. I will definitely try to solve those Doubts. 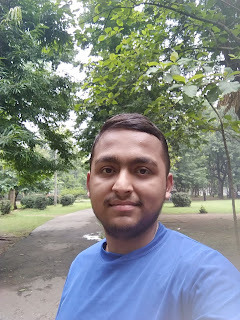 What is Crowdfunding on This Article How did you feel like writing a comment so that we too can get a chance to learn something from your thoughts and improve something. In order to show your happiness and excitement towards my post please share this post on Social Networks such as Facebook, Google+ and Twitter.